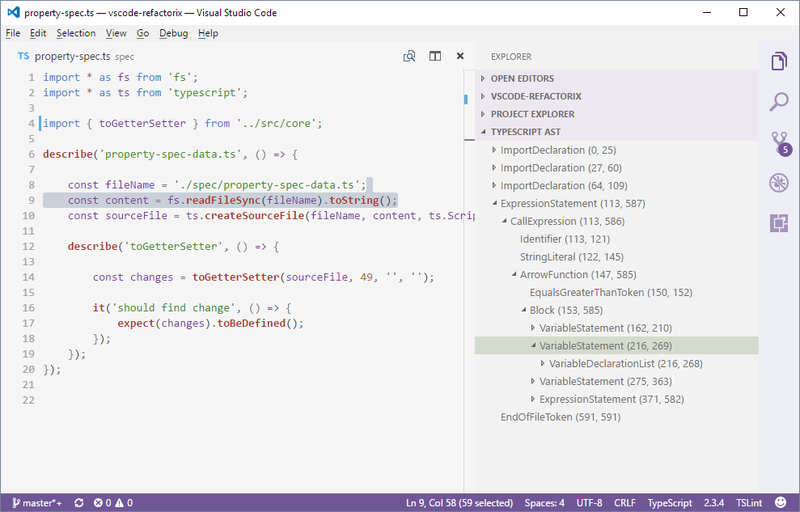 Visual Studio Code>Other>TypeScript AST ExplorerNew to Visual Studio Code? Get it now. An Explorer view that displays the AST of the currently active TypeScript document.